When it comes to doing some DIY work in your backyard, the best way to do a professional job is rent professional equipment. If you’re installing a backyard fence, you will need an auger. If you search online for earth diggers, you will come across the standard commercial machinery such as excavators, backhoe loaders, bulldozers, skid-steer loaders, motor graders, crawler loaders, and scrapers. You can’t exactly roll any one of these machines into your backyard. So to make it easy for DIY homeowners, the team at Cooks can help. What Is an Earth Auger? An earth auger resembles a giant screw that digs into the earth to manipulate the soil underneath. The auger is used for various purposes such as removing drain blockages, lifting up ice, and moving liquid underneath the soil. The best thing about an auger is that the equipment itself is an attachment and can be fitted to other machines. Augers have been used agriculture for a long time. They make holes, dig the ground and even puncture wooden surfaces (with different blades, of course). The design has remained the same but with advances in technology; they are now available in different varieties including shapes and sizes. When you’re looking for Espanola rentals, you can ask about its specific purpose to find out if they will serve your DIY work purpose or not. If you are gardening, then a one-man auger will work quite well for this purpose. This machine is best when doing solo projects. Moreover, it is less expensive, light in weight and easy to handle. It typically weighs from 27 to 40 pounds. It has an engine power of 35 to 50cc and works efficiently when doing medium-sized projects. When building a deck, you will need some serious man and machine power. This DIY project requires you to dig holes for the support posts, which is a two-man job. This is why a two-man earth auger will work great here. Since it is heavy, it requires two sets of hands. It has a more powerful engine and due to its large size, it has handles that allow you and your work partner to grip the machine securely. It typically weighs from 50 to 70 pounds and has more than double the engine power than the one-man earth auger, of about 160cc. 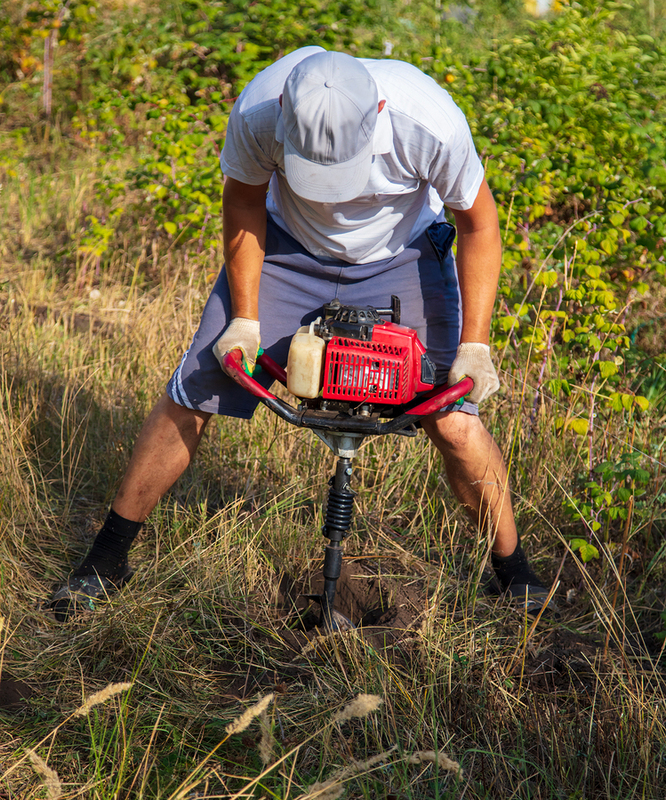 This is why it works efficiently when digging holes in rocky or clay-based soil.For your next DIY work, go with Cook’s Espanola rentals and save yourself the trouble and money of purchasing heavy equipment. By renting the equipment, you will have much more budget for the DIY work.